MaximumSoft Corp. today announced release of its new product Forms-2-Go. This app puts form-based data right into customers' hands, allowing to create, modify and email electronic forms directly on iPad, Android and BlackBerry tablets. 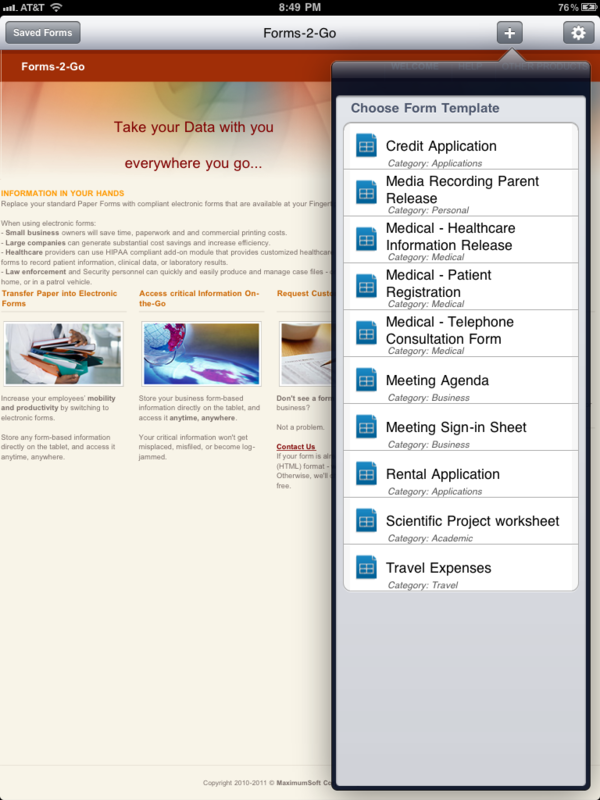 iPad version of the app also allows to print forms directly from the tablet, on AirPrint compatible printer. MaximumSoft Corp. today announced release of its new product Forms-2-Go. This app puts critical data right into customers' hands, allowing to create, modify and email electronic forms directly on iPad, Android and BlackBerry tablets. iPad version of the app also allows to print forms directly from the tablet, on AirPrint compatible printer. Small business owners will save time, paperwork and and commercial printing costs. Large companies can generate substantial cost savings and increase efficiency. 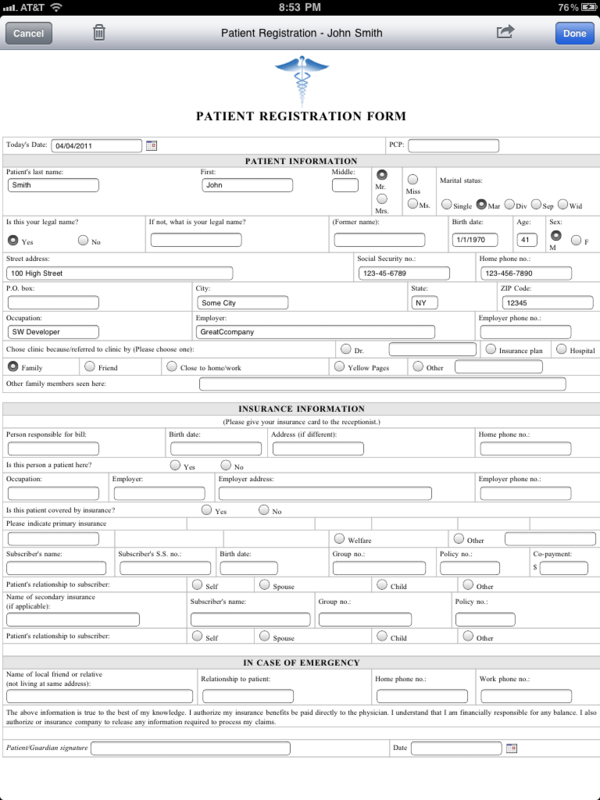 Healthcare providers can use customized healthcare and medical forms to record patient information, clinical data, or laboratory results. Law enforcement and Security personnel can quickly and easily produce and manage case files - on the job, at home, or in a patrol vehicle. Store any form-based information directly on the tablet, and access it anytime, anywhere. Your critical information won't get misplaced, misfiled, or become log-jammed. 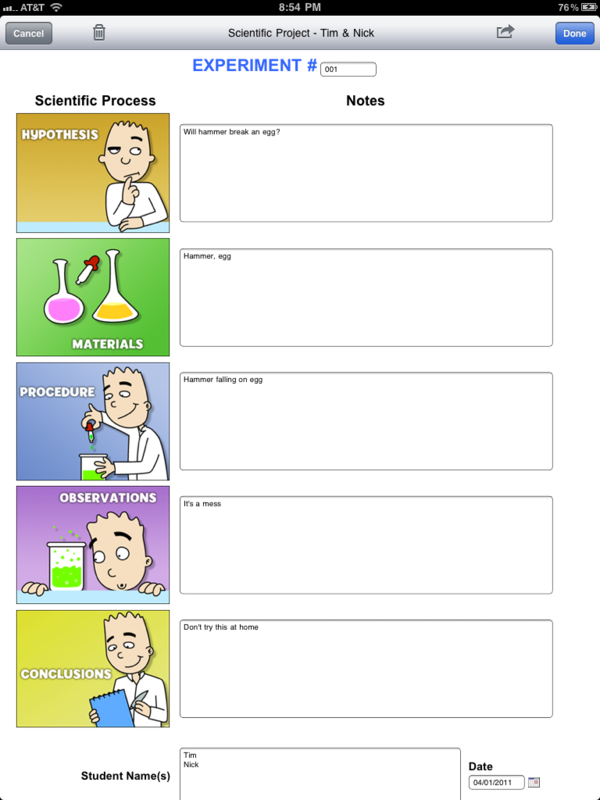 The app comes with 10 pre-build form templates. It also allows users to import their own custom form templates (in HTML format). MaximumSoft team can also help to convert customer paper forms into electronic format to be used in Forms-2-Go app. MaximumSoft Corp., the developer of several award-winning products, is headquartered in Dublin, Ohio, U.S.A.